Half Iranian – half American, Arash Rahbar is a professional Classic Physique competitor. He was the runner-up of the 2016 Mr. Olympia Classic Men’s Physique, and the winner of the 2016 New York Pro. It was in 2014, when Arash decided it was time to finally put the spray tan on. 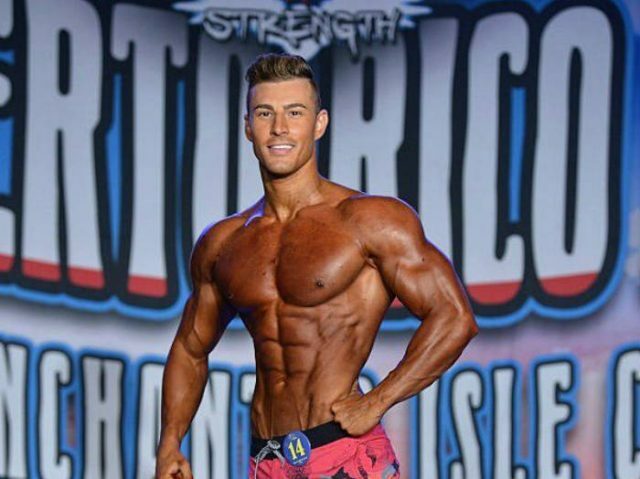 He confidently stepped onto the NPC Bev Francis Atlantic States stage, taking home the 1st place trophy. That same year, Arash won the IFBB North American Championships, which earned him a Professional status in bodybuilding. Arash says he took a liking to the bodybuilding lifestyle when he was 12 or 13 years old. 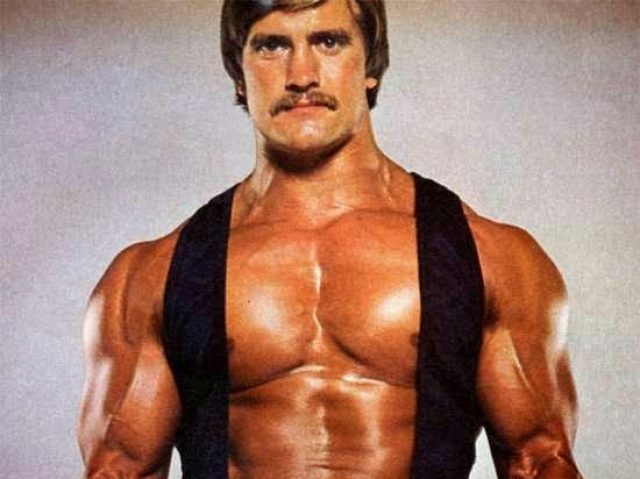 He would look at the pictures of ‘old-school’ bodybuilding and movie icons such as Sylvester Stallone, Arnold Schwarzenegger, and Hulk Hogan; aiming to sculpt a physique just like theirs when he would grow up. Arash would play around with weights at home, and also, experiment with martial arts and other sports. These activities, combined with his desire to sculpt a great body, helped him to quickly progress his strength and size. 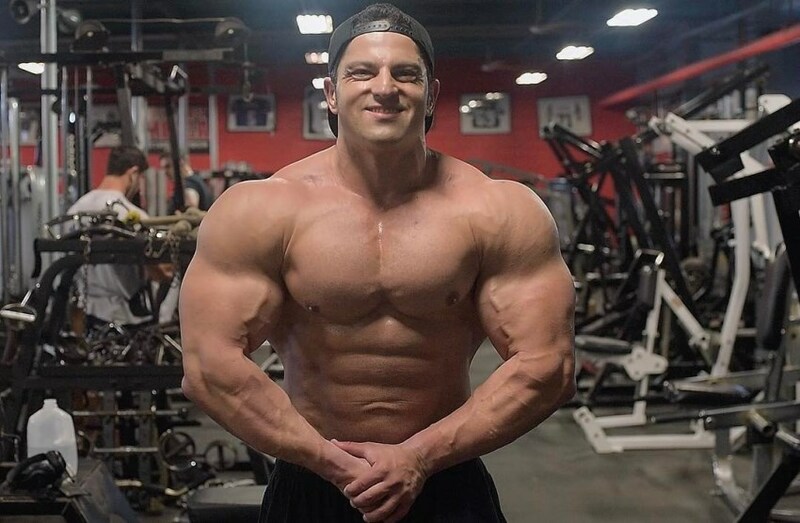 Even though Arash didn’t have anyone around him who competed, or knew about professional bodybuilding, he still ate, and trained like a bodybuilder; believing it was in his blood. Arash Rahbar in his younger days, when he just started training. 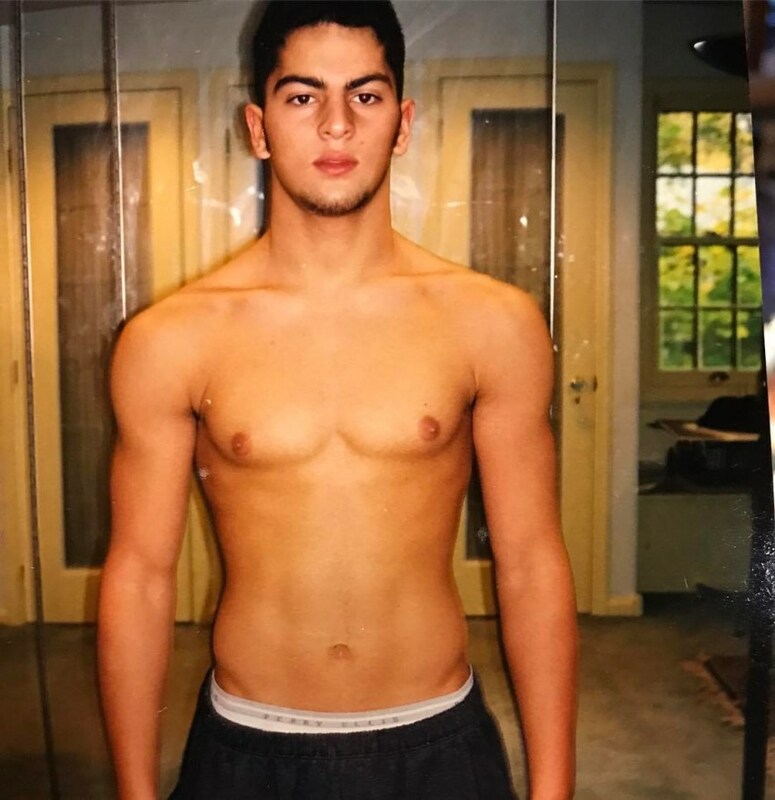 Coming into his teens, Arash says he knew that at some point, he wanted to compete on a bodybuilding stage, but he kept putting it off; believing he was never ready. The turning point in Arash’s career, and life, came when he moved near the popular gym in New York. There, he met many of his friends who competed in the NPC Men’s Physique bodybuilding contests. Seeing them compete on a regular basis gave Arash the confidence to finally step on the stage himself. Arash’s first contest came in 2014, at 32 years of age. The wait was well worth it – Arash not only won his debut contest, but he also earned his IFBB Pro card the same year. Since then, Arash has competed on the world’s biggest stages. Including the 2016 Mr. Olympia Classic Physique, where he was just one place away from winning the most prestigious trophy in bodybuilding. Most bodybuilders gradually lighten the weights as they come closer to the contest, but not Arash. He says he likes to keep both his off-season and in-season workout routine similar – sticking to heavy lifts at all times. 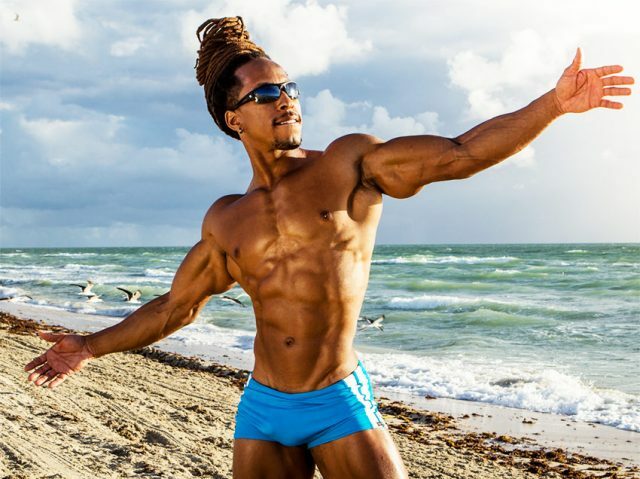 While Arash says it’s great that some athletes can lose body fat without doing cardio, he believes doing it is not only important for fat loss, but overall health as well. It keeps his heart healthy, and it also increases his stamina. His favorite method of cardio is HIIT (spin bike sprints, treadmill running, or sprinting outdoors). He says it’s by far the best form of cardio for fat loss. However, when Arash gets two or three weeks out of a competition, he goes back to more steady types of cardio, as doing HIIT at low body fat levels can lead to an injury. As for the frequency of his cardio sessions, Arash says it all depends on his weight, and his goal for the contest. Arash is a big fan of Persian cuisine. He believes it’s some of the healthiest foods in the world; being rich in protein, good fats, and complex carbs. However, Arash doesn’t want to fool anyone – he says that like with any other cuisine, it’s always possible to have a healthy, and an extremely unhealthy approach. It all comes down to the daily caloric intake, and the type of foods that are being consumed. One thing that Arash advises with this diet, is, cutting out the butter and vegetable oils, as those contain unhealthy trans fats. Arash’s daily protein intake is at around 1.5 grams per pound of lean body weight. His carbs are at around 200 grams, sometimes higher when he’s in the off-season. As for fats, Arash doesn’t always count them exactly, as he gets them in small quantities from his protein and carbs sources, along with fish oils. When it comes to carb timing, Arash is a big believer it works, and the role it plays in influencing body’s hormonal response. He says slow carbs can be consumed throughout the day, while fast-acting carbs like white rice, sugars, etc. should only be consumed in the morning, or after a workout – when body’s glycogen reserves are depleted. Alpha Lipoic Acid – Keeps glucose levels steady. Creatine – increased power output. BCAAs – feeds Arash’s muscles throughout the day; preventing muscle breakdown. L-Theanine – for post-workout relaxation. Multi-Vitamin – Arash takes this to make sure he avoids any possible deficiencies. Vitamin C – for general health. Vitamin D3 – Arash takes this supplement only when he doesn’t get enough daily sunlight. Curcumin – fights inflammation in Arash’s body. NAC (N-Acetyl-Cysteine) – Same as Alpha Lipoic Acid. Pre-Workout – Keeps Arash’s energy levels high during the workout. Protein – helps build muscle mass. Arash’s early idols included Arnold Schwarzenegger, Sylvester Stallone, and Hulk Hogan. Later, as he became more involved in bodybuilding, Arash began admiring the likes of Kevin Levrone, Ronnie Coleman, and Dorian Yates. 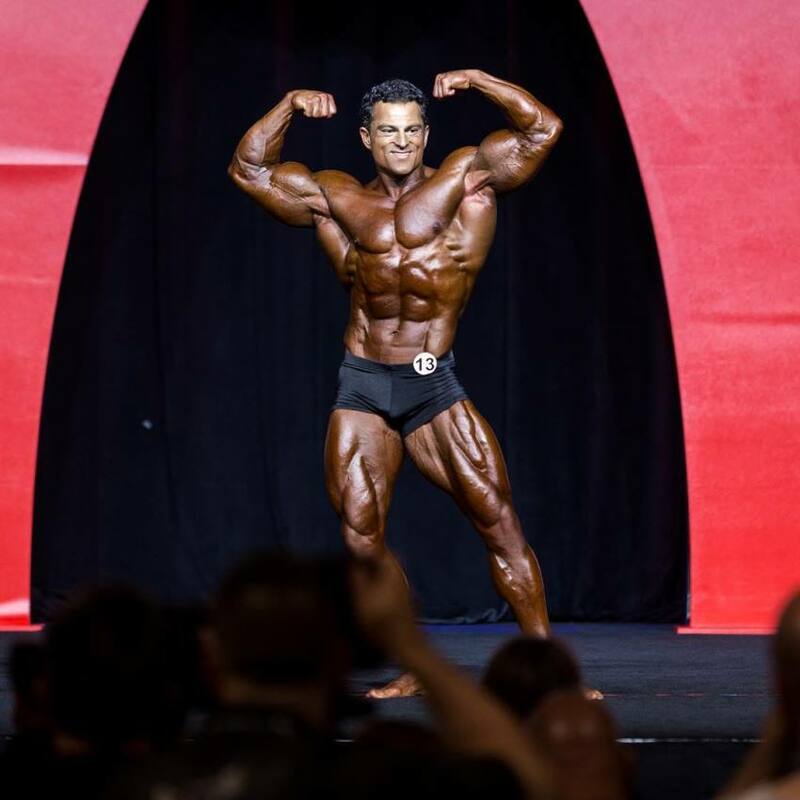 Although Arash was someone who was always fascinated by competitive bodybuilding, he spent decades training in the gym before he decided he was ready to step on the stage. His patience and willingness to bring his physique to its absolute best before putting the spray tan on is something that massively paid off – because of it, Arash won his IFBB Pro Card within one year of competing. There are people who might not be willing to spend this much time to reach a certain goal. But, it’s always wise to look at examples such as Arash’s and remember that achieving success takes time. It’s not an easy process, but for those who are willing to put in the time, and work like Arash Rahbar – it’s definitely a rewarding one.